Ever since Hippocrates said “it is important to know what sort of person has a disease than to know what sort of disease a person has”, medical researchers have conducted and continue to study disease and afflicted humans. And this has resulted in improved life expectancy worldwide. 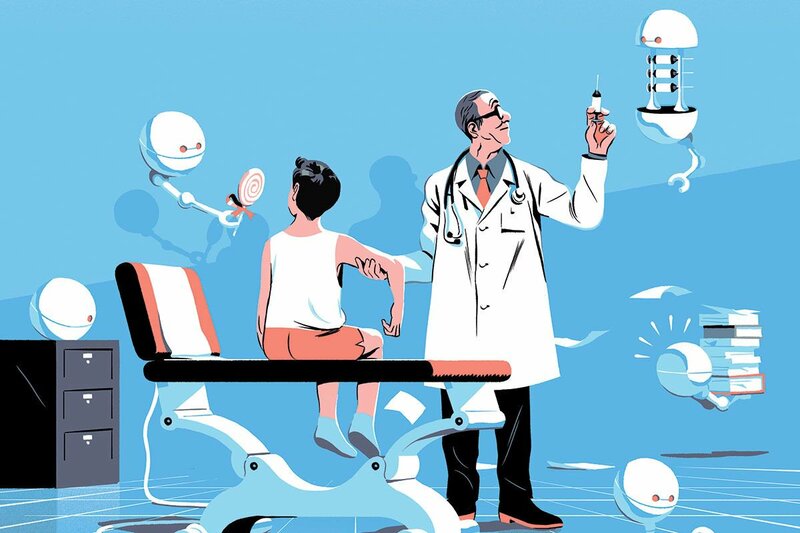 This quest for better medical care and good health has received yet another technology to improve efforts and outcomes – Artificial Intelligence. The technology that has been popularly associated with more technical functions, is being increasingly and effectively used by medical researchers to improve the health of humans worldwide. Here is a close look at what AI has on offer to improve health. Ageing AI, a test developed by the Centre for Healthy Aging at Copenhagen University, will help to understand if the biological age of a person matches the actual age. The test will help to predict if the individual is exposed to health risks. The tests will help researches crack the code of identifying biomarkers that scientists have been attempting for long with mixed levels of success. The test will analyse various parameters of data, including routine blood samples, and inputs regarding lifestyle, medication and environmental influences to accurately predict the possibility of certain diseases afflicting an individual. While it may not be possible to keep all infections at bay, predictive tests of this nature can help to understand the probability of contracting specific diseases. There have been claims and counter-claims about the benefits of eating certain foods. For instance, there have been claims about the health benefits of coffee, while there have also been claims that coffee is not healthy. All the claims and counter-claims have been made with relatively lesser data taken into consideration. For instance, tests that had been conducted may not have taken into consideration the possibility of other factors present in a certain cohort of individuals. With data analysis and artificial intelligence, it is now possible for scientists to let advanced systems mine through every conceivable parameter and input to come up with conclusive evidence that will establish the link between healthy food and good health. AI possesses the computing power to look at a nearly endless stream of data including geographical locations, climatic conditions, past medical history, genetics, age, gender and predisposition to disease etc., to unravel the real link between healthy living and good health. This is being put to the test in the USC’s Center for Artificial Intelligence in Society’s Reconnect Model, which aims to prevent obesity and diabetes in kids. Healthcare systems are undergoing rapid transformation. Diagnostics are presently not what they were before, nor will they be the same in the future as they are now. Diagnostics will have more of AI, which will help in conducting high-speed diagnostics with far greater accuracy, eliminating human error. The options that AI brings to clinical systems and health care will be transformative to the extent that it will be the new normal and not something special. Traditional diagnostics have worked in isolation, and this has helped identify markers of disease which have helped specialists to prescribe suitable medication. However, AI is set to change all of this. In the future diagnostics will not only look at the tests in isolation but will also look at various other inputs that will help physicians to see the larger picture. The multi-disciplinary bench to bedside approach, also known as translational medicine will develop at very high speeds with AI. The convergence of technology, tools and biomedical research will progress to levels that were difficult to achieve earlier, partly as a result of the contribution of AI to the interdisciplinary approach. This approach is intended to offer specialized medication and intervention to patients on the basis of various factors, which will ensure that the outcomes of intervention are far superior to present levels. While it is true that life expectancy has improved over the last few decades, it is also true that this has been achieved at significant costs. A large number of individuals have received timely and prolonged medical intervention to come out of potentially fatal and life-changing diseases. Research had in the past looked for methods to cure diseases. The use of AI will now offer medicine a better chance to identify the probability of affliction and thereby help in offering pre-emptive medication or intervention in the future. The combination of genome sequencing, data analysis, and artificial intelligence promises great benefits for healthcare, and future generations will be healthier, as AI will turn Hippocrates quote into reality. Hey there. I am Dhaval Sarvaiya, one of the Founders of Intelivita. Intelivita is an app development company that helps companies achieve the goal of Digital Transformation. I help Enterprises and Startups overcome their digital transformation and mobile app development challenges with the might of on-demand solutions powered by cutting-edge technology.